Now offering a flat-rate full detail service! 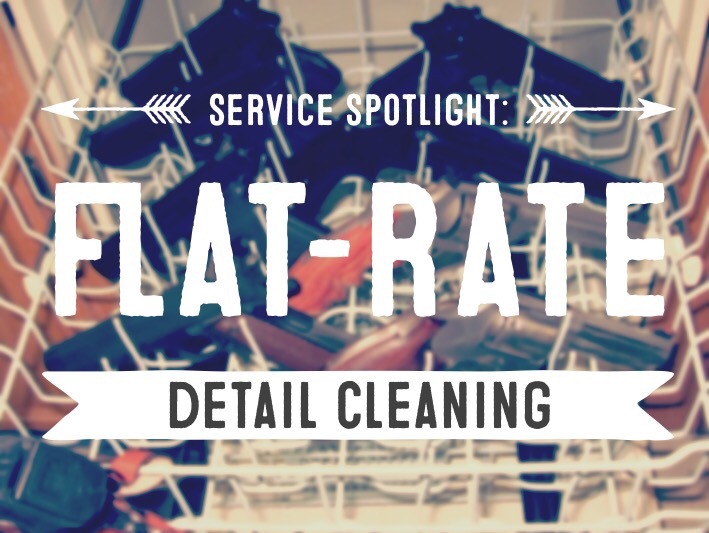 We’ll fully disassemble, thoroughly clean, lube, and reassemble your firearms. No more chasing down lost springs, no more wondering how it goes back together. Handguns are $30, long guns are $40.